‘She might have been expelled from school at 15, but Alex head’s fresh, beautiful food has made her the go-to caterer for starry parties’ – thanks Sainsbury’s Magazine! We are thrilled that Alex Head, is included in the March issue with a selection of seasonal Spring recipes that you can prepare in advance, leaving you free to be a relaxed host. 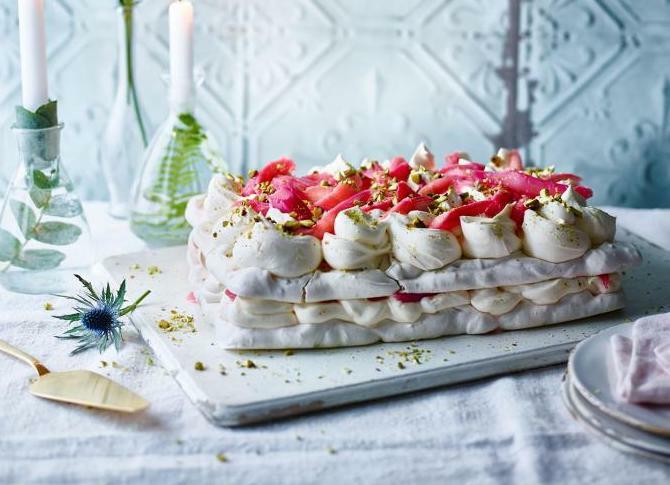 This pistachio and rhubarb meringue cake is the perfect finish for family get togethers this Easter – you can make the meringues and rhubarb compote a day ahead, all you need to do is assemble it for a delicious sweet treat. For more of my seasonal, fresh and delicious Spring recipes for Sainsbury’s magazine, visit their website here. 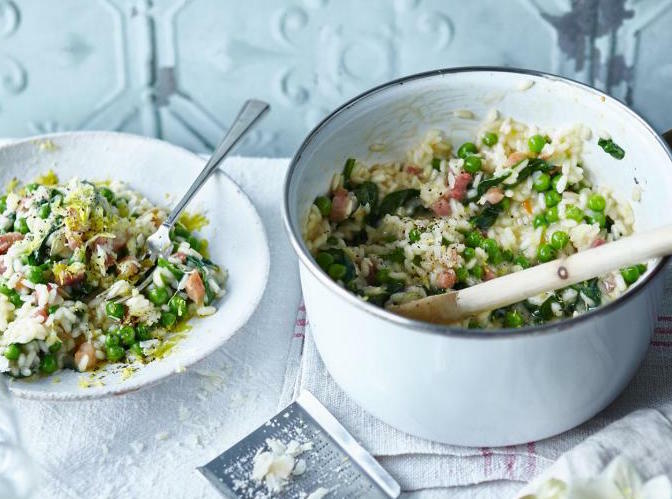 My simple salmon pâté is delicious served with toasted crusty bread or why not try my vegetable and pancetta risotto (below) for a easy, crowd pleasing dinner?